My beautiful Grandma Sieb sent me an email last night reminding me to slow down and enjoy the holiday season. Her thoughtful email filled with love and positive words inspired me to remember what I love most about this time of year (which is pretty much everything). I have a few memories childhood memories from Christmas that make me smile each year. I’ll share three. 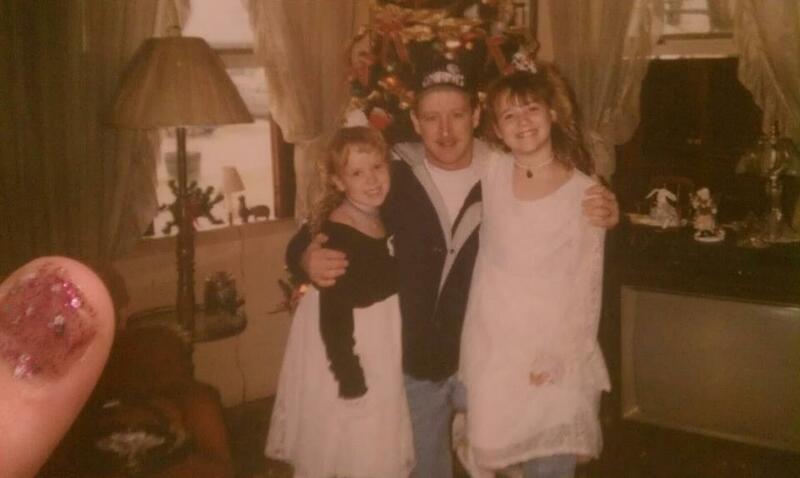 When I was about 11, I wore my FAVORITE Christmas dress –it was white and lacey. I was so excited to wear it to church! I remember being upstairs listening to music and dancing around, and then I puked everywhere! Right before my puke-fest, I was drinking orange soda. From that day on, I never drank orange soda again, but the good news is…at least I looked cute. My favorite dress (obviously partnered with a side ponytail). 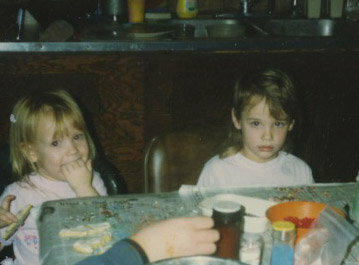 When I was 6 or 7- probably the same year that I stuck the buckeye in the toy kitchen- I begged and pleaded for a mullet. You heard it folks, a mullet! Business in the front, party in the back. There is a picture of me- proudly holding up a pack of underwear- and I have a mullet- it’s one of my favorite Christmas pictures of me ever. I’ll see if I can dig it up and I’ll be sure to share it with you! In the meantime, enjoy this picture of my sister and I making Christmas cookies (aka she is eating her hand + I’m being dramatic about something, probably someone hating on my mullet). You’re welcome for this laugh. And here are 40 reasons why I love Christmas time! 1. Home Alone. Best Christmas movie ever. 2. Christmas lights! I LOVE walking or running with Bandit or driving home in the dark because we get to see all of the Christmas lights. 3. Peppermint mochas. You should really only have one a month though. So. Many. Calories. 4. Sharing family stories and memories around the dinner table. 5. The Starbucks holiday cups. 6. Dealing with my husband after he comes home drunk on Christmas Eve. I know what you’re thinking…why is dealing with your drunk husband part of why you love Christmas? The answer…Because I get to take pictures and blackmail him for the year to come. 7. Adopting a family (our work adopted 2 families this year and it was amazing to hear all of the wonderful gifts they received!). 9. Eating buffalo chicken dip for 4 days in a row. At least. 10. Watching snowflakes fall for the first time. 11. 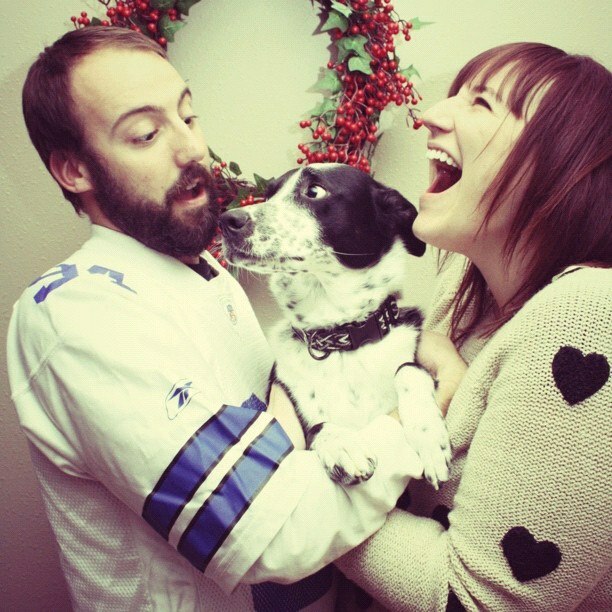 Busting out our first Christmas picture together. We’d only been together for about 3 months in this picture, so clearly you can see that we were soulmates from day 1. 12. Justin trying to teach me how to wrap presents (unsuccessfully of course…I’m a huge fan of gift bags). 13. Jello shots with Grandma Kaye. 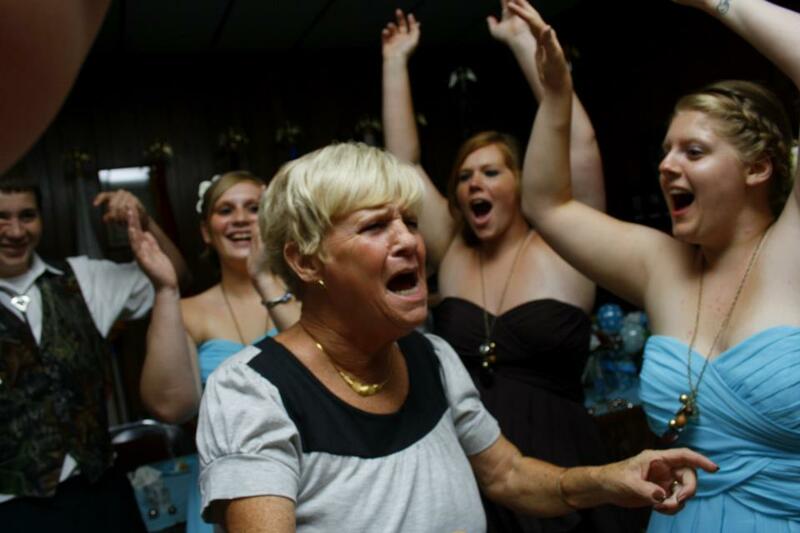 Grandma is the life of any party. 14. 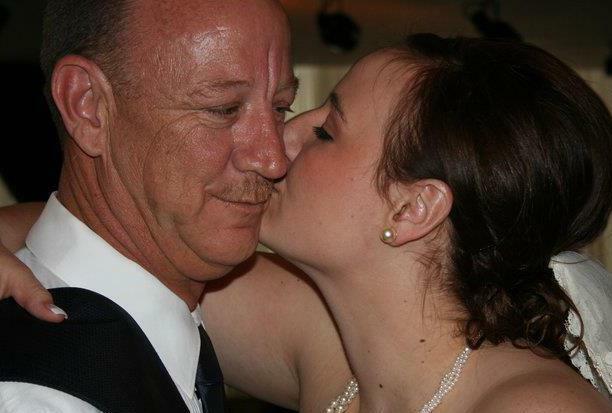 Celebrating my dad’s birthday…he is the first man to ever steal my heart. 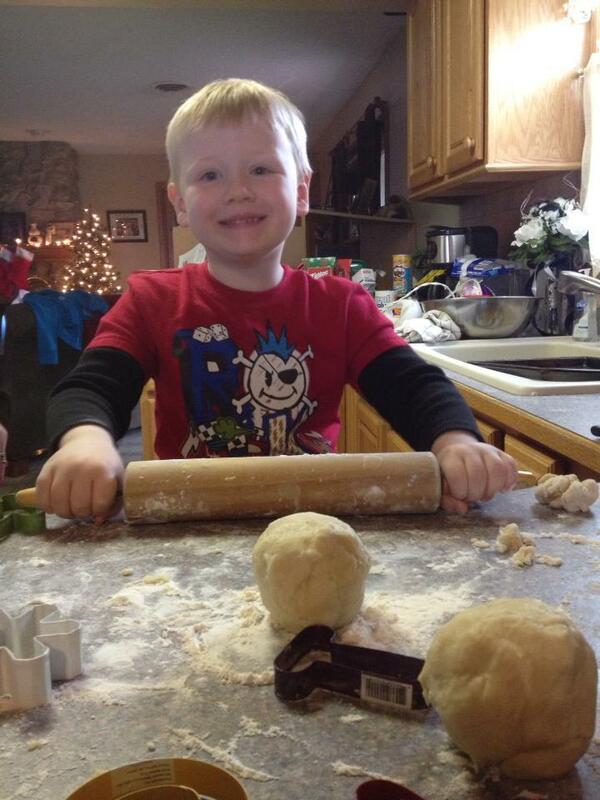 Braxen LOVED helping roll out the dough for the cookies this year. He was the cookie Rookie of the Year. 16. Watching the children open up their gifts. 17. Adorable nails with little Santas, Christmas lights, and snowflakes. 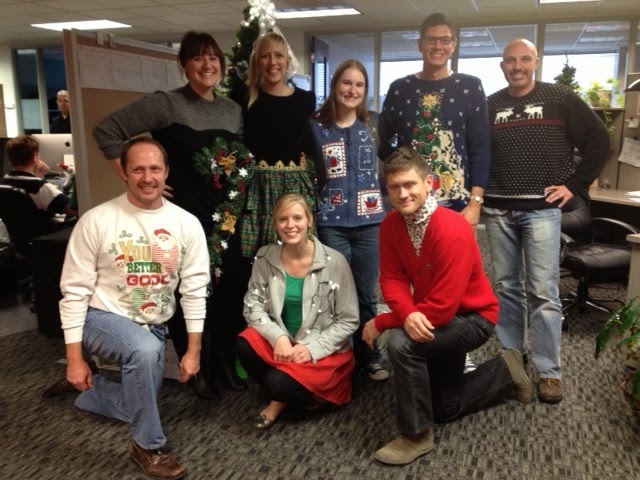 Some of the Iasta team rocking our ugly Christmas sweaters! 20. Shrimp cocktail (a classic appetizer for this time of year that my Grandma Kaye always has…can’t wait!). 21. Making snowmen (I’ve only successfully done this twice in my lifetime). 23. Visiting with family that I only get to see a few times each year. 24. Did I mention Christmas cookies yet? 25. 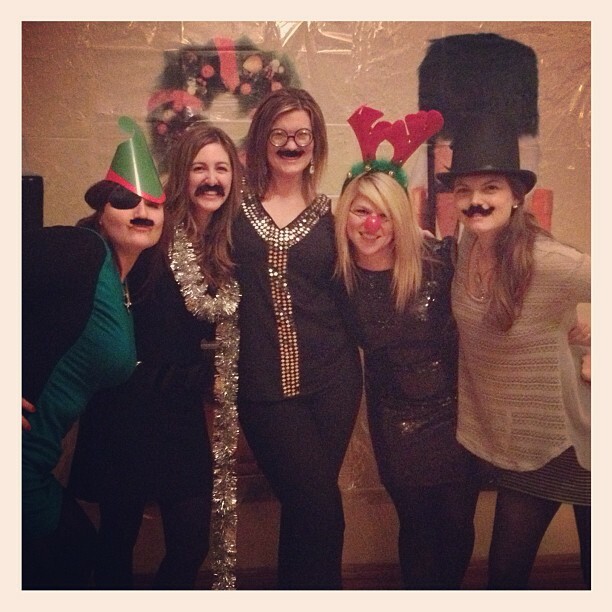 My work Christmas party. Honestly, we have the BEST parties ever. 26. Watching Bandit play in the snow. 28. Giving back to the community and those in need. 29. Gingerbread frozen yogurt with pumpkin pie syrup. YES! 30. The realization that a new year is near! 31. Wearing red sweaters and dresses. Red just seem more festive this time of year. 32. Traditions. My Grandma Lahman kicks off holiday traditions by giving the grandkids Christmas ornaments at Thanksgiving and my Grandma Kaye always gives coloring books and crayons. We always eat steak on Christmas Eve with Justin’s family and I can’t tell how you good Beth’s biscuits and gravy are on Christmas morning. My Aunt Cathy always hosts Christmas Day and has the most amazing whole grain dinner rolls & tex-mex dip! SO good! 33. Seeing pictures of everyone’s Christmas tree. 34. Ham- it’s the only time of year I really want a baked ham. Also, I once missed a final exam in college because I was picking up a free ham from work. 35. Using Happy Hoildays in my email signature. 37. Santa hats on babies and small animals. 39. Candy canes – I think I eat 2-3 a day. Seriously. Peppermint only…keep your Starburst flavored candy canes to yourself, please. 40. Making new memories with my lovely friends and family members. Why do you love Christmas!? I’d love to hear your Christmas traditions and favorite memories! And most importantly, I wish you and your family a WONDERFUL holiday season. Eat food until your pants burst (okay, I’ll do that for you).